Identity Store: It is directory server to perform the authentication. It contains user name , password and groups membership information .When a user name and password combination is entered at log in, the authentication provider searches the identity store to verify the credentials provided. 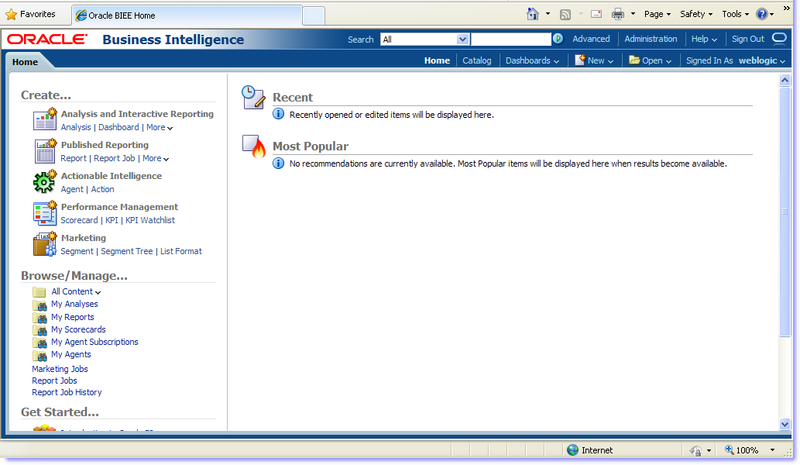 Policy Store: Contains the definition of Application Roles, Application Policies, and the mapping between them.A policy store can be file-based or LDAP-based.Oracle Business Intelligence permissions are granted by mapping users and groups from the identity store to Application Roles and permission grants located in the policy store. Credential Store: It is responsible for securely storing and providing access to credentials required by Oracle Business Intelligence Applications components internally.For e.g, SSL Certificates stored here. Two way the authentication can be done . 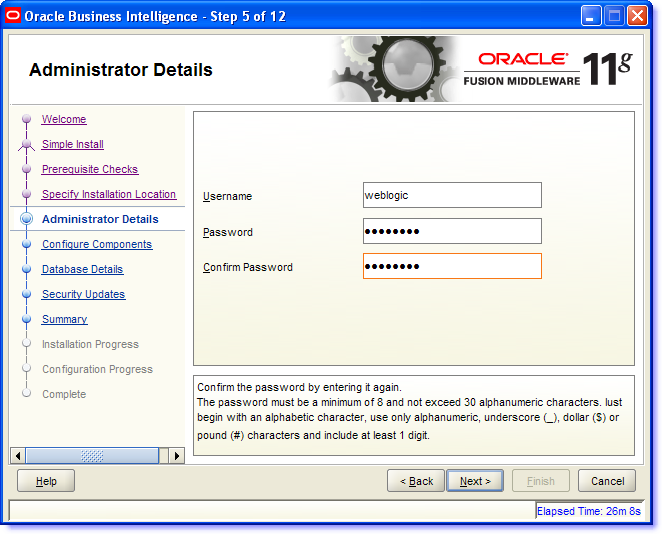 Oracle Weblogic Administrator Console used to manage Embedded directory server (LDAP) to authenticate Users and Groups.Sometimes Oracle Internet Directory is used as authentication provider and OID console is used to manage user and groups. After the authentication done , the authorisation will be done across Policy store and Credential store where application role and group mapping will be executed . Application and System related security credential will be store inside the Credential Store (oracle wallet) . 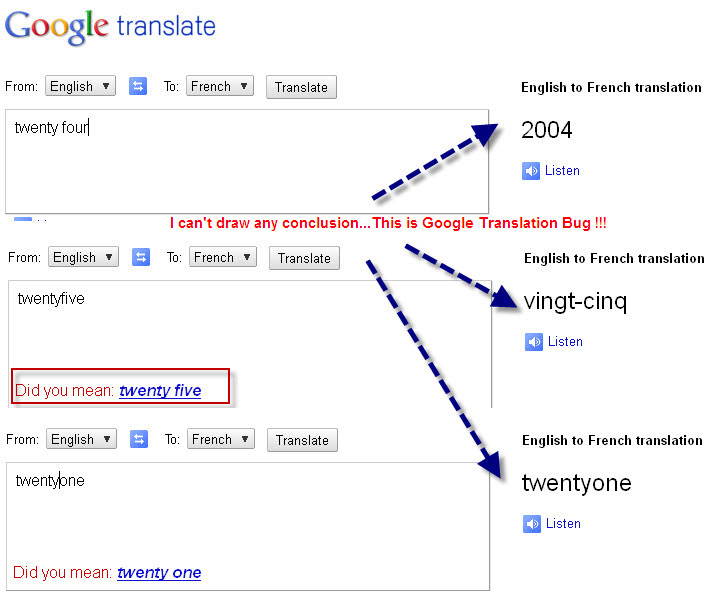 Translation Issue ! Not BI :) Its problem with Google… The big Hat !! Adding my first web findings in New Category area called ‘Miscellaneous” . 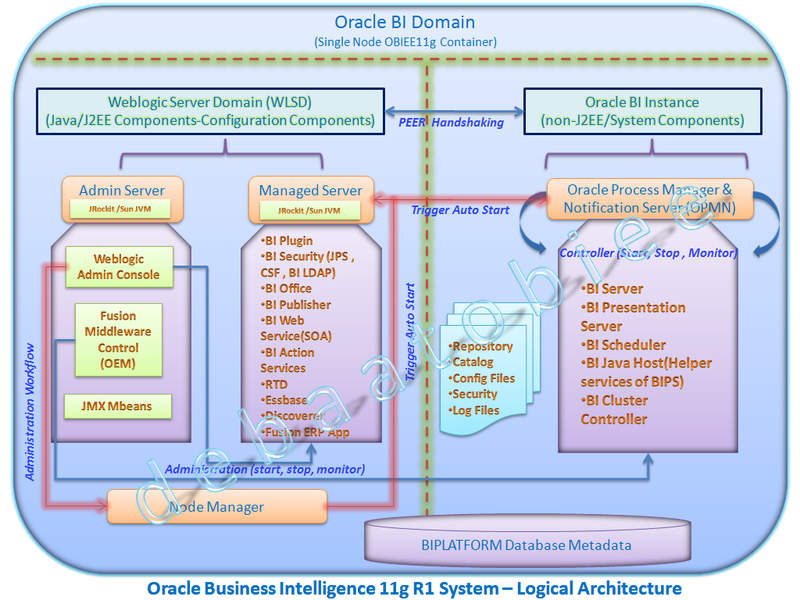 Overall system is called “Oracle BI Domain” . This comprises of Java components deployed into J2EE containers , non java system components and required configuration files, metadata, repositories, and infrastructure. 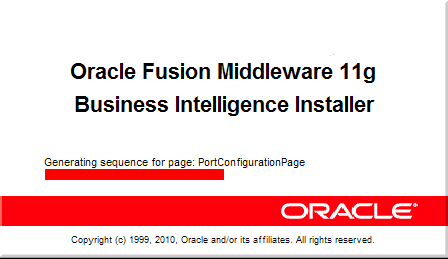 Oracle Enterprise Manager(OEM) acts as “Fusion Middleware Control” which together with Weblogic Admin Console are the basic backbone,the powerhouse and the Admin Activity controller for the entire domain . Weblogic Server Domain: The logical domain consists of Admin server and Managed server .It comprises mainly with all the Java modules to trigger the java services .A peer handshaking has been done between WLSD and Oracle BI Instance. A JEE container that runs in a dedicated Java virtual machine that contains Java components for administering the system .It typically trigger the start,stop kind of admin activity for his peer Manager server processes. A JEE container that runs in a dedicated Java virtual machine that provides the run-time environment for the Java-based services and applications within the system.The services comprises of BI plugin , Security , publisher ,SOA ,BI Office services etc . Node Manager provides process management services for the Administration Server and Managed Server processes.Its a separate java utility runs to trigger the auto start , stop , restart activities for distributed Managed server. It is monitored , managed and controlled by Fusion Middleware Controller(OFMW). It is also used for distributed process start/stop/restart i.e maintains the Oracle Business Intelligence system component processes.Also used for performance collection using Dynamic Monitoring System (DMS) . It is the replacement of Oracle 10g R3 middle tier cluster topology based on Oracle Container for Java (OC4J) . It is a Java EE application server that supports the deployment of Oracle Business Intelligence Java components and primarily host the java component services inside Managed server . 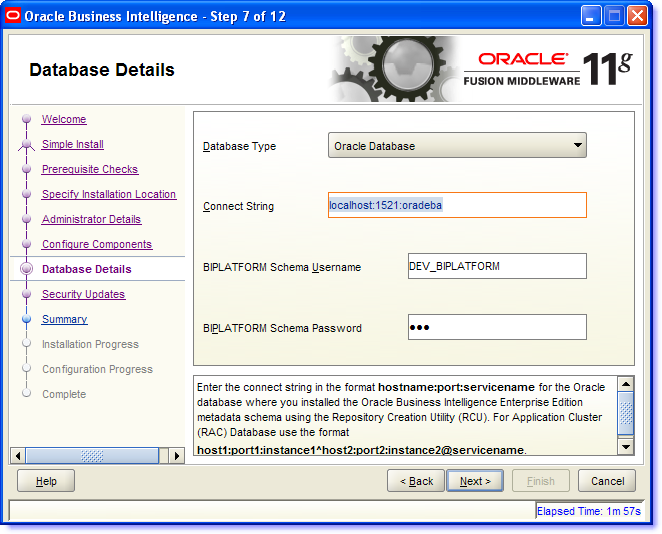 OFMW Environment: Oracle Fusion Middleware environment contains Oracle WebLogic Server domain (including Administration Server, two Managed Servers) , an Oracle instance and Metadata repository . Administrative Components — Enterprise Management applications and JMX MBeans for managing all configuration and run-time settings for Oracle Business Intelligence. Oracle BI Office — This component provides the integration between Oracle Business Intelligence and Microsoft Office products. Oracle Real-Time Decisions (Oracle RTD) — This component provides enterprise analytics software solutions that enable companies to make better decisions in real-time at key, high-value points in operational business processes. 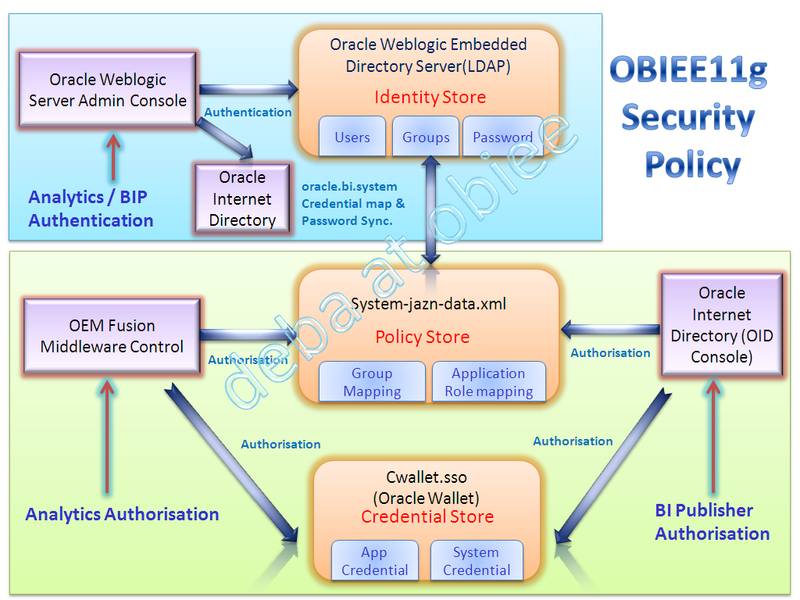 Oracle BI Security Services — This component provides dedicated Web services that enable the integration of the Oracle BI Server with the Oracle Fusion Middleware security platform i.e JPS (Java Platform Security) , CSF (Credential Store Framework) and users and groups managed by BI LDAP security. Oracle BI SOA Services — This component provides dedicated Web services for objects in the Oracle BI Presentation Catalog, to invoke analyses, agents, and conditions. 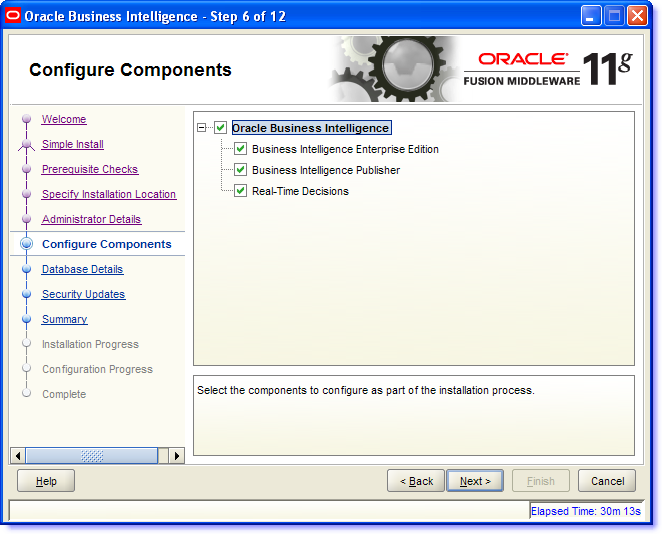 They make it easy to invoke Oracle Business Intelligence functionality from Business Process Execution Language (BPEL) processes. 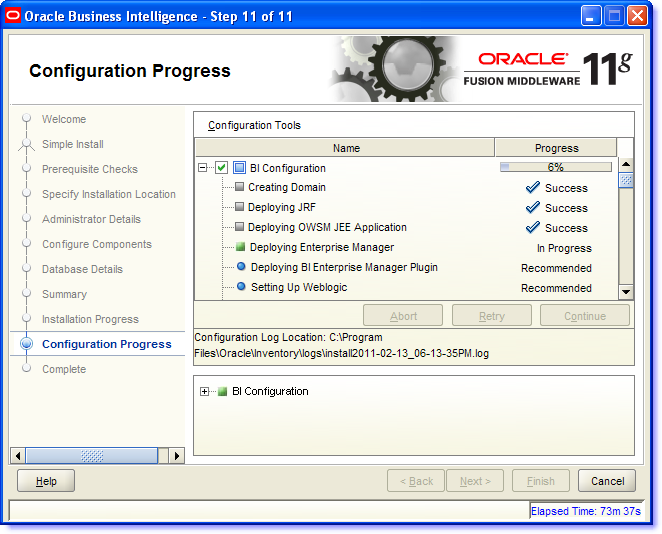 Oracle BI Plugin — A JEE application that routes HTTP and SOAP requests to Oracle BI Presentation Services. Oracle BI Server — This component provides the query and data access capabilities at the heart of Oracle Business Intelligence and provides services for accessing and managing the enterprise semantic model (stored in a file with a .RPD extension). Oracle BI JavaHost — This component provides component services that enable Oracle BI Presentation Services to support various components such as Java tasks for Oracle BI Scheduler, Oracle BI Publisher, and graph generation. Oracle BI Cluster Controller — This components distributes requests to the BI Server, ensuring requests are evenly load-balanced across all BI Server process instances in the BI domain. “There is a problem sending the command to the program” ….Also the sawserver crashed popup appeared . Now I put the OBIEE11g access URL in browser to see what’s happening and strange …. 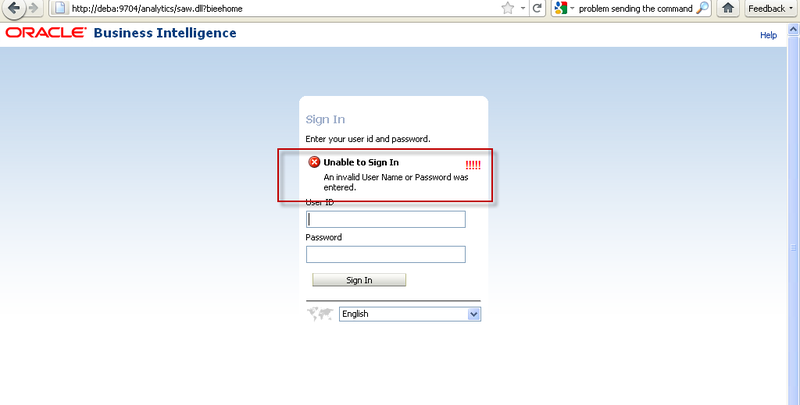 I am not being able to access it as it is throwing ‘An invalid Username and password was entered’ . I am pretty sure that I have not make any mistake with Weblogic password and as the URL had been already accessed from past couple of days so there might be something wrong ….. So there might be some problem with the service startup … Just ran the ‘Stop BI Services’ once and execute the Start services again .Still the same issue …. 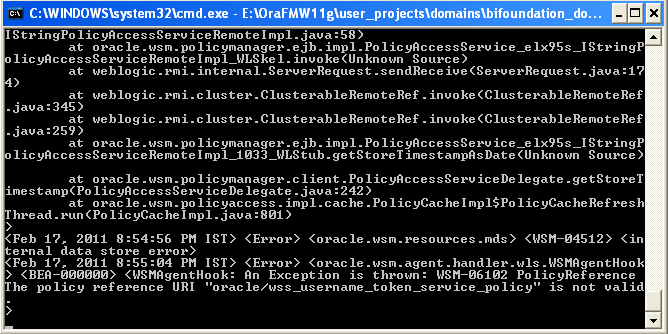 MDS-01370: MetadataStore configuration for metadata-store-usage “OWSM_TargetRepos” is invalid. 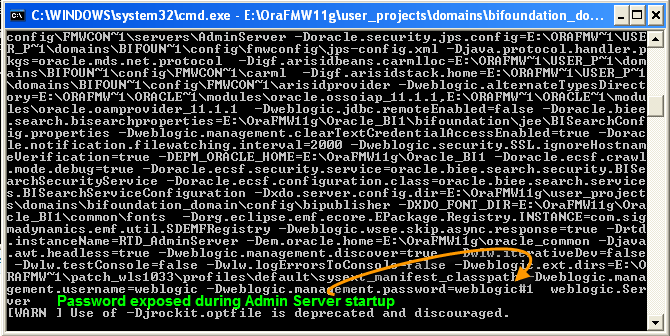 MDS-00922: The ConnectionManager “oracle.mds.internal.persistence.db.JNDIConnectionManagerImpl” cannot be instantiated. It seems while database Listener down OBIEE not being able to verify the Weblogic connection information including credential verification and hence causing the issue . So I manually started the Listener service , Stop BI Services and restart it … This also not resolved my problem . So it seems the problem with Loop back network Adapter configuration .I logged in using my IP address as : “http://<IP&gt;:9704/analytics” and it works fine then I logged out and tried with host:port configuration and voila ! it working perfectly fine this time…. This is one of the strange incident and it is strange enough that the root cause of the issue could not been identified . Strange… Weblogic Password Visible !!! 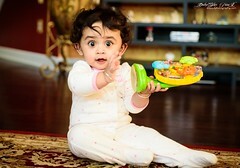 The server encountered an unexpected condition which preventing it from fulfilling the request …. This failure of ontime update for process ” Oracle Process Manager (instance1)” could be caused due to the memory availability .I have 4 GB RAM configured in 32bit machine with the process configued as “Manual” .Hopefully in future version Oracle will provide proper update on Command windows so that onscreen OBIEE11g server availability will be notified after OPMN process being started successfully . Once the Process manager has been started OBIEE Sign In page appears automatically . 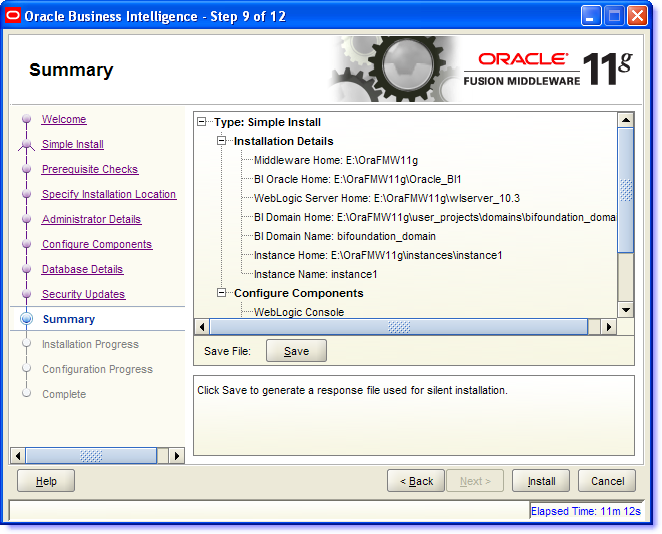 Below screenshots will guide you through step by step installation of OBIEE 11 g Fusion Middleware product .Before start the setup make sure Oracle 11g database installed and RCU setup completed. 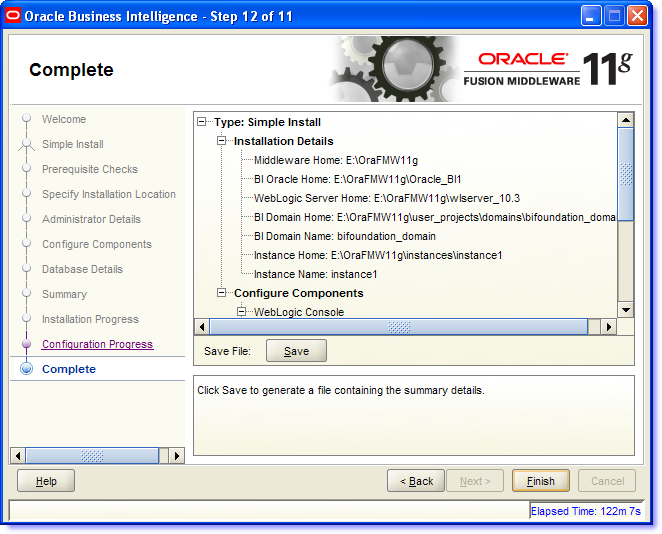 Step 1: Download OBIEE 11g (11.1.1.3.0) version from below link of OTN . 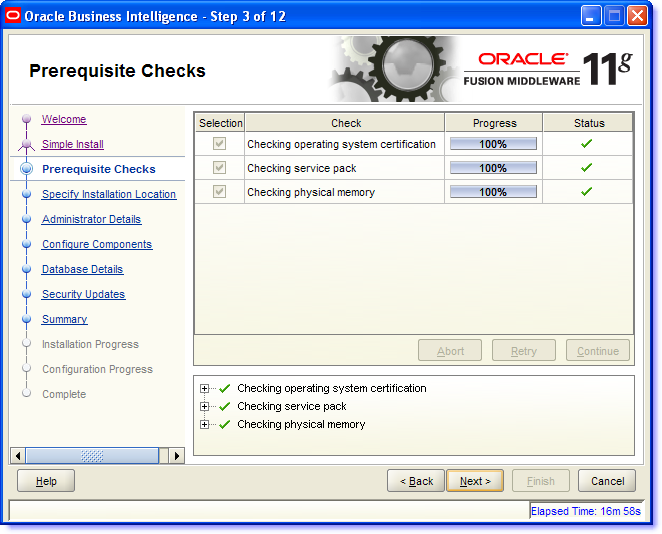 Prerequisite has been installed as : Oracle 11g DB R2 and RCU 11.1.13.3 . Now extract the download copy into two different folders …. Merge the two folders content into single directory “..\bi_windows_x86_111130_32_disk1_1of2\bishiphome” . Step 3: Execute the setup.exe . 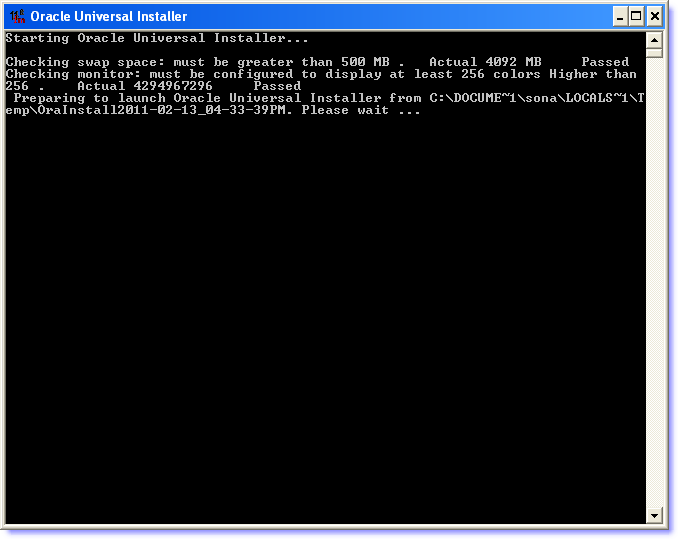 Oracle Universal Installer (OUI) pre-requisite verification started . 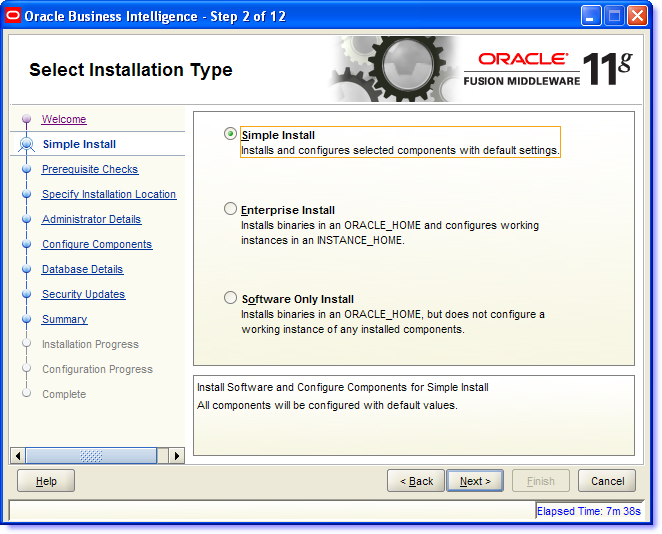 Then the OFMW 11g Installer template initiated. Step 4: Click Next on Welcome screen appeared below. Step 5: Select the “Installation Type” as ‘Simple’ .This is most easiest and recommended for first try .All the parameters will be set by default. N.B:- Enterprise installation is mostly required in Scalable system having the configuration required across multiple Weblogic domain or joining a existing domain to existing Weblogic Server .The “Software Only Install” requires the configuration done in different phase after the enterprise wide installation is over . Step 6: Pre-requisites check has been done . 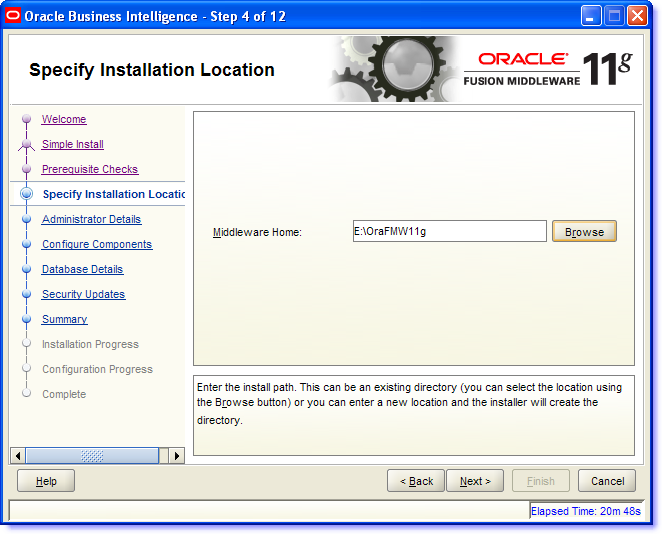 Step 7: Specify the installation location . 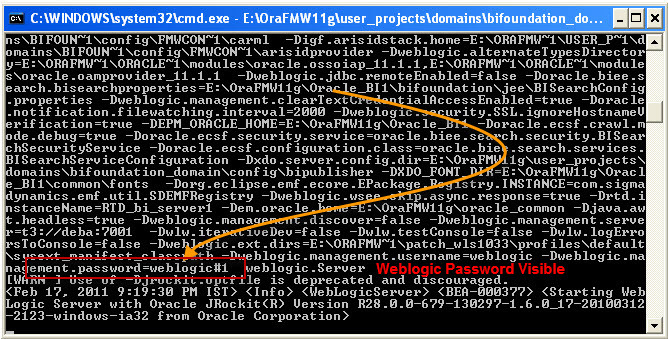 Step 8: Enter the ‘Weblogic’ Admin credentials . In my case the password is : ‘weblogic#1’ (without quotes to meet Oracle Password standard) . Step 9: Configuring the components . In my case I select all . 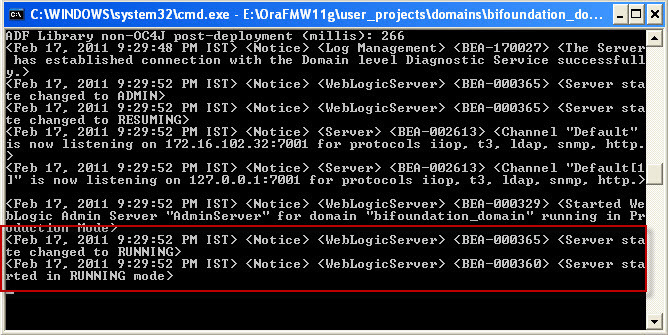 Step 10: Specify the connection parameters ..
N.B:- Be aware of the joker type error message thrown here during my first installation as “INST-08029 Unable to connect to Database with given credentials.” It seems to be an Oracle BUG .See the issue in screenshot . Anyway I get rid of it after dropping the RCU schema for BI and recreate the same with password as ‘rcu’ .This password has been provided here . 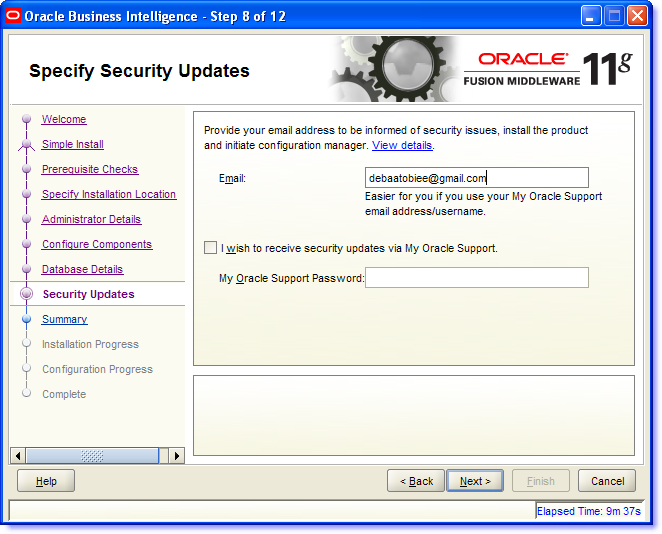 Step 11: Specify security update section . Step 12: Finalise the installation . 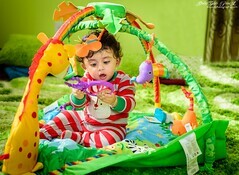 Step 13: The installation and configuration completed .Click Finish . 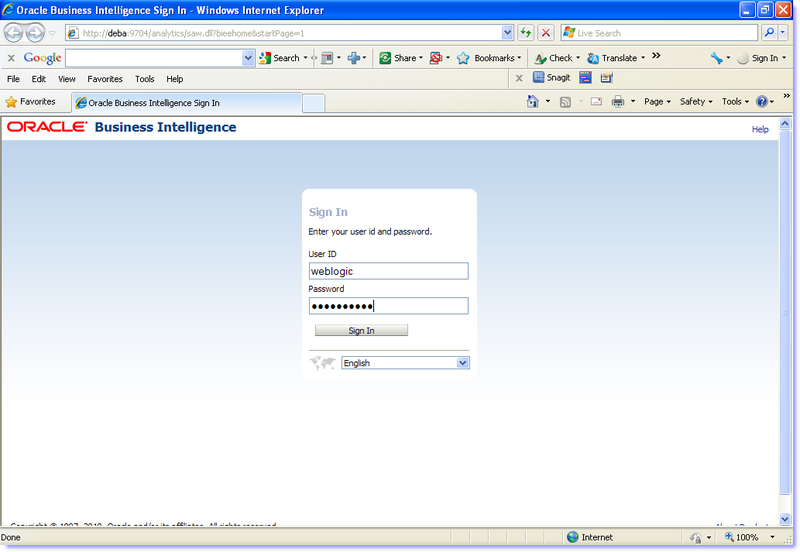 Step 14: After the installation concludes , Weblogic Server and BI Server started , IE browser window opens automatically with the homepage of Oracle Business Intelligence instance .Logging in using the weblogic server User name and password given at Step 8 . 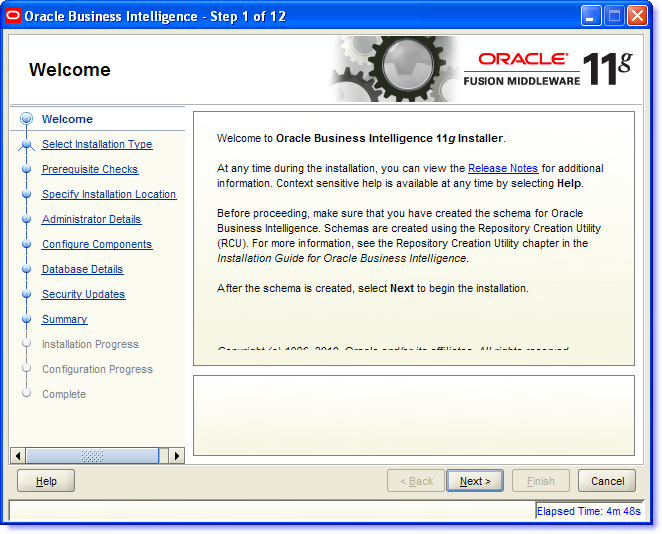 Voici … OBIEE11g installation has been completed successfully .